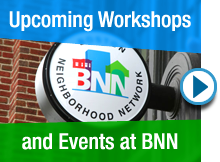 Welcome to the Boston Neighborhood Network website where you can get information about our history and the services we provide Boston residents, nonprofit and community-based organizations and the general public. You will find our television channel schedules and many opportunities to participate in our programs and events. You can also sign up to become a member or register for a workshop. In anticipation of the film Captain Marvel, Mbadika will debut its second BNN Episode of their latest series, mLab, showcasing how using STEM (Science Technology Engineering Mathematics) you can bring your Captain Marvel inspired ideas to reality. Artists from Roslindale are participating in a group exhibit of art work in a variety of media. The exhibit is open to the public from March 1, 2019 through April 2019. There will be a reception with the artists on Monday March 25 from 5:30-7:00pm. The FCC is proposing to redefine what a franchise fee is - and it will radically reduce the level of monetary support available to run PEG access channels across the United States. You can help by petitioning the members of Congress representing you and asking them to oppose the FCC changes. CLICK HERE to contact your representative and senators. Please encourage your colleagues and friends to also take this action in support of BNN and PEG Access Stations across the country. Call to Neighborhood Art Organizations - Group Shows. 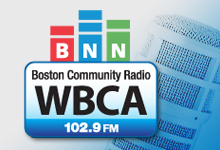 The BNN Neighborhood Art Gallery invites Boston neighborhood art groups to participate in our bi-monthly exhibits at the BNN Media Center. The New England Patriots celebrate their Super Bowl LIII victory with a parade through Boston shot in 360º by BNN Virtual Reality.